The family of AthenStyle, has owned 103 olive trees for over five generations. Once a year, we produce our own olive oil with the method of the cold press. All the olives that are being used are selected and collected by hand at an early stage of maturation of the olive fruit for additional quality and taste. We produce a limited amount of olive oil but it is still enough for family use and our hostel’s kitchen. We are excited to share it with you as we believe that just one drop of this special extract is enough to bring all the good memories from Greece back in your mind! A limited amount of 250 bottles have been produced this year for our guests and friends to take away and enjoy a taste of Greece and AthenStyle while they are back home. If you have tried it and you would like some more do not hesitate to get in touch with us by sending an email at info@athenstyle.com. The olive yard is located in Kalamata where famous Kalamata olives are produced as well. You may visit the area and enjoy the original taste of local produce, as well as fresh fish and seafood from the Messinian Gulf and long beaches with crystal clear waters by staying in Kalamata (www.AthenstyleFlats.com). Kalamata is also a good base for day trips to all Peloponnesian historical sites as well as the Mani region. Contac us for more info! 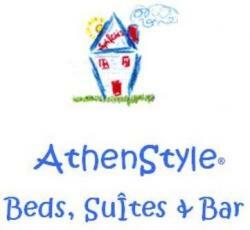 If landing at Athens airport book a cheap stay in Athens best hostel http://www.AthenStyle.com, it’s worth the visit! Photos of the olive yard and freshly pressed olive juice.